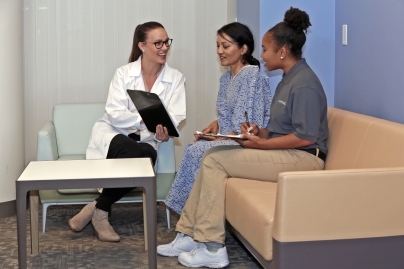 The Health Scholar program allows you to gain firsthand experience in both clinical and administrative health care settings and become an integral part of the care delivery team. 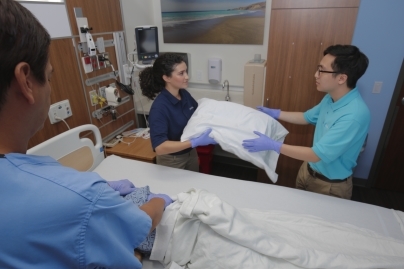 You will assist with basic care for patients alongside nurses, physicians and other members of the care delivery team, and have opportunities to learn the “business” of health care to better prepare you for your health care career. This program is offered year-round with enrollment occurring every quarter. 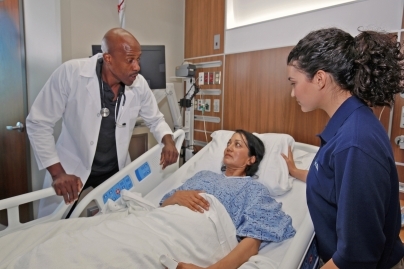 Most individuals graduate from the program in 15 months after completing 250 hours of health care experience with a commitment of one 4-hour shift per week. For those looking to complete the program faster, we offer 9-month and 3-month options where you will receive priority shift selection in order to finish at an accelerated pace. Additionally, upon graduation, Scholars will receive a completion certificate from UCLA’s Executive Programs in Health Policy & Management. The program is offered at various health care sites throughout California, Washington and Hawaii. The Intensive Health Scholar program is perfect for individuals looking to gain firsthand experience in a clinical setting, along with health care management interactions and experiences, in an intensive format across eight (8) weeks during the summer and four (4) weeks during the winter. Students participate in skill-based workshops, such as suturing, and attend a seminar taught by UCLA faculty. Upon graduation, Scholars will receive a completion certificate from UCLA’s Executive Programs in Health Policy & Management. Are you preparing to take the MCAT or GRE? View our other programs that combine MCAT or GRE prep.